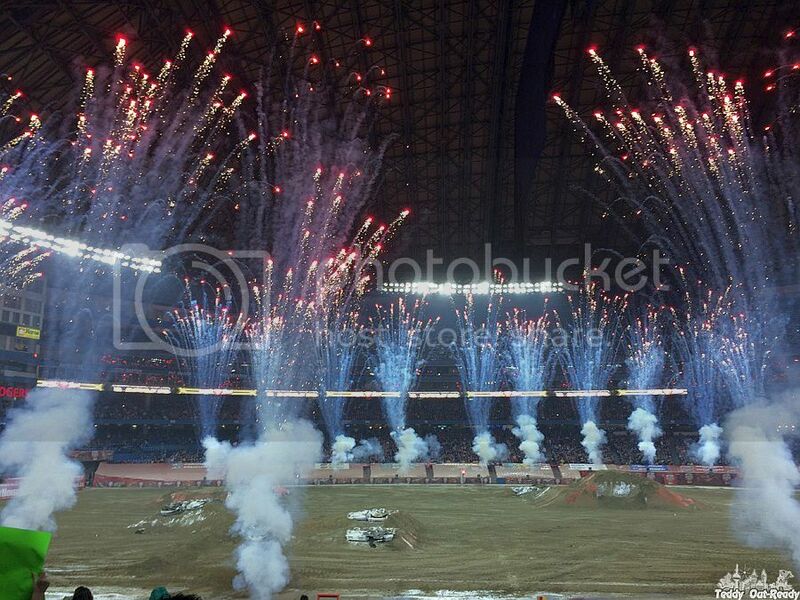 Monster Jam is back to Toronto with giant trucks ready to roar, smash and crash. While January is pretty calm month after holiday festivities, and the weather in our city getting much colder, we are excited to cheer up and get loud with Maple Leaf Monster Jam. No guilt, fear or limits with high jumps and speed at the Rogers Centre on January 16 and January 17 this year. 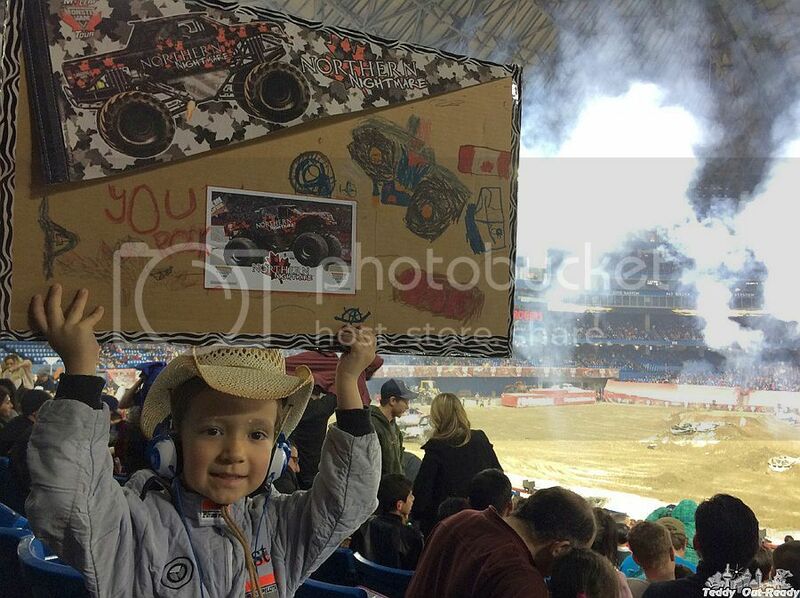 We have been to Monster Jam shows for the last four years and every time it was fun for the whole family. We had a chance to meet the best drivers and be close to the enormous machine, they all are very impressive. It is pretty loud at the show so young kids and even adults should wear ear protective devices or plugs. Monster Jam is a very special show, because only there you can watch jumping School Bus and TV characters like Scooby-Doo or Iron Outlaw doing crazy tricks, turns and smashing the obstacles on purpose. The twelve-feet-tall, ten-thousand-pound machines will keep you entertained till the end of the show. Monster Jam custom-designed trucks are very strong and their drivers brave and confident in racing and tricks. 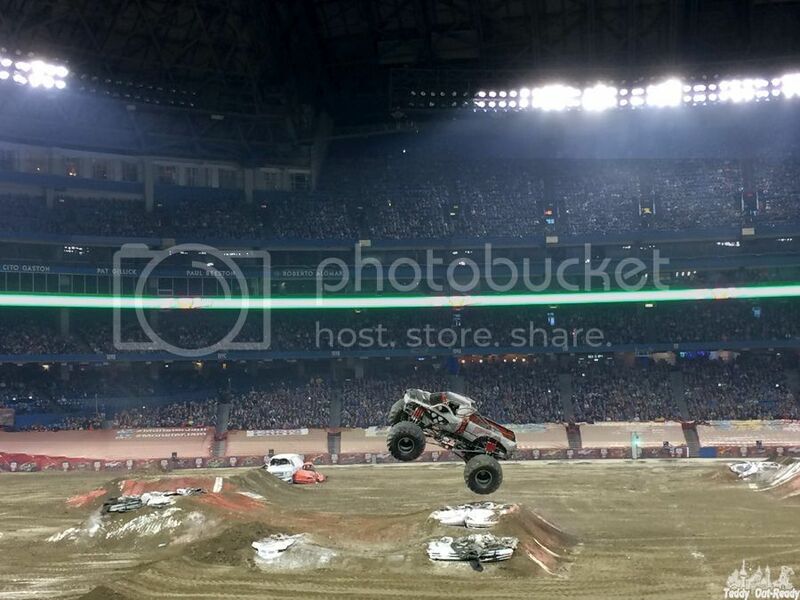 This year Monster Jam Toronto features Cam McQueen, driver of Canada’s Northern Nightmare, Scott Liddycoat, driver of Dragon, Zombie and Rage, Grave Digger®, Son Uva Digger, Monster Mutt Rottweiler, Scooby Doo, Alien, Bounty Hunter, Iron Outlaw, Wrecking Crew, Higher Education, Black Stallion, Storm Damage and Hurricane Force. One of the best the Party in the Pits will be held on January 16 (3pm-5pm) and January 17 (10:30am-12pm). They give fans the opportunity to get a close view of the trucks up and meet the drivers of the enormous Monster Jam trucks. Pit Party Passes are $10, and event ticket must be presented upon entry for access. Have fun and enjoy the show!